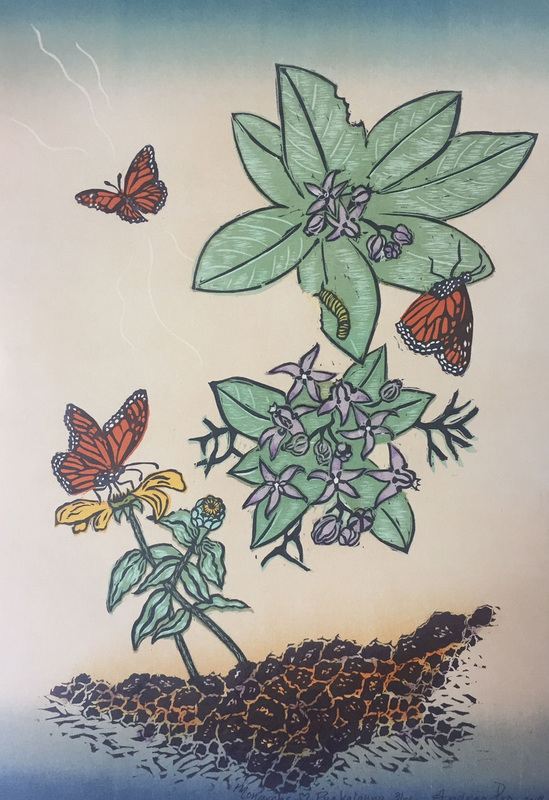 The humble “Indian milkweed” also known as the crown flower plant, has become associated with monarchs in more than one way. Monarch butterflies lay their eggs exclusively on milkweed plants. When the caterpillars hatch from their pearly eggs, they emerge onto their favorite food source and eat voraciously right up to the day they form their cocoon. The last Hawaiian queen, Liliuokalani, favored the crown flower, pua kalaunu, above all of the beautiful flowers in Hawaii. The little yellow raised crown in the center of the flower’s five petals spoke to her of royalty. Pua kalaunu was introduced to Hawaii from India around 1888 and has become a popular flower for leis. It is fortunate for monarch butterflies that pua kalaunu is so popular in Hawaii. Once the butterflies emerge from their cocoons they search for their next food source, which is nectar. Zinnias are one of their favorite flowers. Butterflies, like so many pollinators, have declined drastically in recent years because of chemical weed and pest control. We can help monarch butterflies by planting crownflower and other milkweed plants, along with nectar-producing flowers. This is a multiple-block woodcut printed two different papers with deckle edges: Japanese Hosho and the thicker Rives paper.